Kilcoy Chamber of Commerce & Community Inc.
works with local government to improve infrastructure in the community. 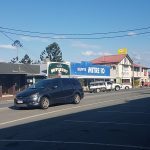 Duffy's Mitre 10 supports the Kilcoy and district community by providing a "one stop hardware shop". Garden, Laundry, Household, Kitchen goods, we have it all. Talk to us about any home improvement idea, maintenance or building requirement. At Duffy's we pride ourselves on having the answers to your home improvement needs. 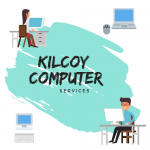 Kilcoy Computer Services is a locally based supplier of computer products & services and is dedicated to the community by providing IT support to households and businesses of Kilcoy & surrounds. Call the "Byte buster" if you have a computer bug. 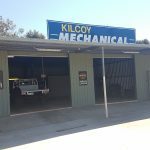 Kilcoy Mechanical provides comprehensive mechanical expertise with the country service you come to expect. Full mechanical servicing for all vehicle makes and models. Squeaky noises, grinding of metal, whistling in the engine, Kilcoy Mechanical will step up and fix the problem. You will be back on the road in no time. Jimna Base Camp is nestled in the old timber village of Jimna. 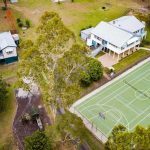 It is surrounded by beautiful bush walks, camping areas, creeks and waterfalls. The surrounding country side is rich in forest, birdlife, creeks and stunning photgraphic locations. A perfect setting for family gatherings, special events, parties, group and company outings or product launches. The Kilcoy Chamber of Commerce is actively promoting our region through positive communication and advocacy.